It's that time of year again! Whether your getting ready for the winter months and need the leaves that have fallen to be removed from the yard or you are getting ready for the warmer months and just need the rest of the leaves picked up, sticks removed, and the initial cut of the season done on your property. 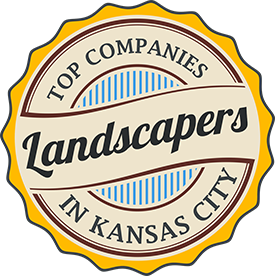 You can count on Heartland Turf & Landscape. 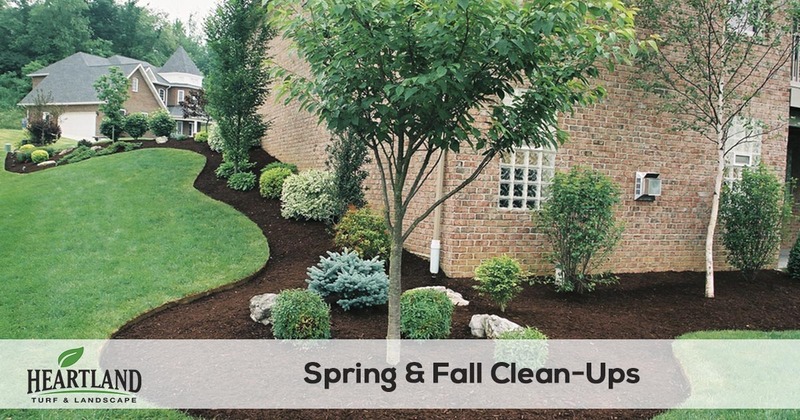 With our spring and fall clean up services we allow you to customize what services you want done. The most common spring and fall clean up service we offer is our leaf removal service. The removal of leaves from your property not only gives it a neat appearance but also prevents pest infestations, mold from growing in the lawn, and in general is healthier for your yards turf. Other commonly requested services include cleaning out flower beds, deadheading spent perennials, and cutting back ornamental bushes and shrubs. In addition to those services we can also do the initial cut of the season for your lawn, taking the extra time to pay attention to the little details that make the difference between a good looking lawn and a great looking lawn. We pay close attention to edging along side driveways, sidewalks, porches, and patios. We will define your landscape borders by vertically trimming a gap between the grass and the landscaping. If you have special requests for your spring or fall clean up just let us know, we will work with you anyway we can. When you're ready for the leaves to be removed from your property, give the leaf removal pros at Heartland Turf & Landscape a call. We offer free quotes and make it simple to get started. Request your free quote today! You must be Absolutely Delighted with our services! If for ANY REASON you feel you're not Absolutely 100% Happy with our work, I won't be happy either! That means I will not rest until we Make It Right. I will immediately send my team to fix the problem, no questions asked. If it's still not good enough, We'll Refund Your Money. That's how strongly I believe you'll love what we do. Let us prove it to you!